I'm Looking Through You was inspired by a disagreement between Paul McCartney and Jane Asher, and was written at her family home in Wimpole Street, London, where McCartney had his own room in which to compose and sleep. I wrote quite a lot of stuff up in that room actually. I'm Looking Through You I seem to remember after an argument with Jane. There were a few of those moments. A number of McCartney's songs of this time, including We Can Work It Out and You Won't See Me, were based upon his relationship with Asher. In his 1968 authorised biography of The Beatles, Hunter Davies recorded McCartney's thoughts while he and Asher were still together. McCartney alluded to the fact that he found it hard to commit to one person, though acknowledged that his harsh words in song were inspired by hurt. My whole existence for so long centred around a bachelor life. I didn't treat women as most people do. I've always had a lot around, even when I've had a steady girl. My life generally has always been very lax, and not normal. I knew it was selfish. It caused a few rows. Jane left me once and went off to Bristol to act. I said OK then, leave, I'll find someone else. It was shattering to be without her. The Beatles first attempted to record I'm Looking Through You on 24 October 1965. They spent nine hours perfecting the song; onto the rhythm track, recorded in a single take, they overdubbed lead and backing vocals, handclaps, maracas, organ and electric guitar. This first version was released in 1996 on Anthology 2. Aside from different instrumentation, it lacked the 'Why, tell me why' section, was slower than the final version, and contained two bluesy instrumental passages. The group remade the song on 6 November, recording a faster version in two takes. However, it wasn't until 10 November that they hit upon the final arrangement used on Rubber Soul. The Beatles recorded the rhythm track in one take, and later overdubbed vocals and an organ, the latter played by Ringo Starr. Ringo also created a percussive sound by tapping a box of matches with his fingers. The song was completed the following day with vocals and handclaps. The ‘handclaps’ were actually the sound of Ringo tapping on a box of matches, according to Barry Tashian of The Remains. The Remains were one of the support acts on The Beatles’ last tour, and Tashian wrote a book, Ticket To Ride, about it. In the book he recounts how Ringo explained to him what the sound was. Warning: This text may seem that Paul wasnt taking serously the relationship, but it isnÂ´t true. He was really in love in Jane, and she was each day more away from him. He suffered for her. And Paul plays the lead guitar in this song. I’m looking for informations: who played lead guitar in this song? Who played the guitar riff first heard at O:29, is he George or Paul? Why Ringo’s playing organs? It’s quite unusual. Thats not very nice, but it is funny. Agree that it sounds like a Paul solo track. It is by some distance the most poorly recorded track on the album (it’s even out of tune IMO). Anybody spot the missed rim shot (he hits the hi-hats instead?). The guitar tone and style are Paul’s and the lack of Beatle harmonies is conspicuous. A rush job, Paul eager to commit his song to tape when the other Beatles were not available. Anyone ever hear Ringo’s organ part on this song? I’ve never heard an organ in the song. That’s always mystified me, too (the decision to employ Ringo on organ). Even if John or Paul were unavailable (for whatever reason), surely George Martin would’ve been the most likely candidate? Weird. Maybe none of them could master that (l)one chord that Ringo plays throughout! Another thing: Both the organ and the lead guitar have a pretty distorted tone. I wonder if they used the same fuzzbox that Paul used for “Think For Yourself”? Its a very percussive, very simple organización part. Why WOULDN’T it be Ringo? It’s one chord that is played in sync with the lead guitar. Right up Ringo’s alley. The song sounds like it is in the key of G#. The acoustic guitar has a sound associated with open chords. It sounds like the acoustic guitar chords were played using the standard open G, C and Em ones, but 1/2 step up. Can someone confirm whether the track was sped up after recording, or if a capo behind the first fret was used? I don’t know about actual recording, but when I play it I use a capo on the first fret. The song is capoed on the first fret, and it’s in the key of G, so you are correct when you say it is in the key of G#. Capo on first fret, definitely. I must say that I doubt that Ringo plays the organ on this song. I cannot hear any trace of an organ sound on the song. It is supposed to be played on the same channel as the lead guitar. I think that this is an internal Beatles hoax. They did some things like this because they thought that people were taking things to seriously. So I think that they just added that line saying Ringo plays the organ, and then they had a laugh. Maybe Ringo sat at the organ or even played something on it. But i don’t think is was ever recorded, I think it is very inaudible on the record. On the CD you hear even better. Hm, I’m pretty sure that is an organ (Lowrey?) in there accompanying the guitar. It sounds just like a single two-or-three finger chord, really screechy and distorted – possibly played through a fuzzbox? Very close to John Cale’s “Sister Ray” tone, 2 years ahead of time. I agree with you. I’ve listened carefully to the Rock Band multitracks, and there’s definitely an organ in there. I’m not sure it’s a Hammond, though, so I’ve amended the article. People were not taking the Beatles seriously at this time. At least as far as the adults were concerned. There was only occasional reading into Beatles lyrics such as Norweigan Wood. After Revolver it was open season. The organ is very clearly there, and easy to pick out. It’s at the end of the verses, along with the lead guitar. You can clearly hear the organ after ” I’m looking through you . you’r not the same ” THe organ is ONE chord, and its played twice in a row three times, the first strike of the organ is played on the word SAME..
Hey Urban (Spaceman)… first you say you cannot hear any trace of organ sound, then you say you can hear it better on the CD. Which is it? Makes sense to have Ringo play the organ part since it’s function is purely percussive, not melodic. I often wonder whether this song sowed one more of the seeds of the break up. Norman Smith’s comments about how he sensed a dramatic shift apart in The Beatles between Help and Rubber Soul got me thinking this. The others hated the multiple takes on Obladi Oblada and I suspect that didn’t come out of nowhere. Despite the huge volume of books about the breakup of The Beatles, I don’t think there’s yet been one that really does a good job. All seem to basically start with The White Album & Yoko but I think 1965 is a far better place to start (if not earlier) – LSD, Yesterday, and comments like Norman Smith’s. This is an interesting observation. John once said The Beatles broke up because of boredom, and when one examines their “studio years”, it’s easy to see how this could happen, and over time how these situations magnified. Writing and rehearsing in the studio leads to a lot of downtime for the non-participants while the principals decide what it is they ultimately want. The Hunter Davies biography mentions the time when the other three thought they needed Ringo for some work, only to call him a little later to tell him not to come in, after he had prepared to do so. Ringo also said he learned to play chess during the Sgt. Pepper sessions because of the amount of overdubs that were done that didn’t require his services. Add in Paul’s increasing penchant for doing dozens of takes while George was getting almost no time to do his songs, and John’s growing disinterest for being a Beatle, it’s a wonder the group lasted until 1970. Ringo taps on a box of matches in this song. A year and one-half earlier, he sings lead on the song “Matchbox”. An amusing coincidence! If you look at the original LP, you’ll see all the Beatles mentioned by name as songwriters. I think they put Ringo’s name on there, just to have his name on the album cover in some way. Was it really John playing the acoustic guitar part in the recording? Watching Paul live he plays the acoustic guitar, which leads me to wonder whether it was him who recorded the part in the studio instead. Paul and John played acoustic guitars on the basic track. Paul overdubed the bass while George overdubed lead guitar on his Fender Stratocaster (not his Epiphone). wow u guys just don’t like Ringo. he plays piano. so why not use him to overdub ONE chord on an organ. George is playin a Burns bass and Paul is playin acoustic and probably the overdubbed lead. John’s most likely on the tambourine. these were talented guys. why couldn’t they play other instruments other than what they were known for. George admitted to playin on a lot of songs. He had a Burns bass like I said. There’s a pic of him playin in durin the Paperback Writer sessions. I think I´ve heard somewhere that “End of the line” by the Travelling Wilburys starts with the same acoustic guitar chords as here, so it might be George who plays it, while Paul plays bass and lead guitars, Ringo plays drums and organ (which it means that only the two of them were recording overdubs) and John plays tambourine (I´m not sure). Is John singing low harmonies or is Paul overdubbing vocals? Mark Lewisohn has said there is no Hammond organ in the song. It is also not mentioned on the session tape notes. Why that credit got on the notes on the back of the jacket is a mystery. Such a shame once the bridge was composed, they didn’t re-record the song like on Anthology 2. One of the very few instances in which an unreleased version sounds better than the final product. This comment brought to my attention the anthology 2 version. And wow, it’s great. I think I agree that it is better than the released version. 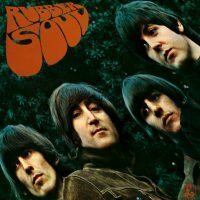 I had a Capitol Records cassette of Rubber Soul which had 2 false acoustic guitar starts before the song starts proper. Anyone else ever heard this version? The original Capitol LP has the same 2 false starts – to this day when my friends and I play this song on our acoustics – we play the 2 false starts. Yes I collect the vinyl for the UK and US LPs and the US one has the false starts. It also does this on the reel to reel releases. All I knew were the “false starts” on the American album. Thought it was clever. I read somewhere that Capitol had EMI rush the masters and they sent that in error. Lewisohn’s inability to hear Ringo’s loud organ stabs in the right channel was the most baffling thing to me in that otherwise great book. Here’s a fun alternate interpretation: it’s a stealth song about being around sober people when you’re on drugs. The key is to change how you parse “you’re not the same”. The usual interpretation is “you’re not the same [as you were before]”. The alternate interpretation is “you’re not the same [as me]”. This is followed by ‘alarm bells’ (the guitar). These ‘alarms’ evoke the paranoia which one often feels around sober people when one is high on marijuana. Many of the other lyrics fit this alternate interpretation almost frighteningly well. “I thought I knew you, what did I know (I was sober then)”. “You don’t look different but you have changed (my perceptions of you have changed)”. “Your lips are moving etc.”, I don’t need to even explain that one. “You’re thinking of me the same old (sober) way”. “You were above me, but not today (because today I’m high)”. The biggest flaw is the ‘Why tell me why’ parts don’t fit at all. Which is why when I read this article and saw those parts were originally absent, I grinned a real big grin. “I’m looking through you and you’re nowhere” is another possible clash, but I like to assume that’s just a reference to “Nowhere Man” on the same album (compare the Ob-La-Di-Bla-Da reference on Savoy Truffle). Superb track… Sounds suspiciously like paul played most of the instruments on the version on ‘rubber soul’, the tougher sounding version on ‘anthology2’ feels more like a band performance and i actually prefer it. I have to agree with you. The acoustic guitar is CLASSIC Paul. John did not play or strum in this style, I could be wrong, but Id go and say this is Paul doing the acoustic guitar for sure. Incorrect. As has been mentioned in the first post. The basic rhythm track played live consists of drums, bass, acoustic guitar, tambourine. I guess we all agree that it’s Paul on the bass so most probably John is on the acoustic and George on tambourine. Notice the same line up as We Can Work It Out basic track. I agree too. John tended to do clawhammer on acoustics, and Paul had that lighter more articulate strummed touch- If they did this live, then It must have been john, but if it was overdubbed, then I’d say paul. It’s his acoustic style. Listen to the intro. Paul McCartney’s very pointed message to Jane Asher. Unlike John Lennon, McCartney is not nearly as obviously autobiographical. But on this one he is. Great lyrics. Off the wonderful “Rubber Soul” album.One hell of a good song. Guitar sounds quite high. High capo placement? John was a careful guitarist quite nimble (have a look at him in Let It Be film)… but it doesn’t seem his style in this song… I just feel it – happy to be proven wrong. When Paul wrote it, it would’ve been on guitar, why hand it over to John? Also, organ is obvious after the words ‘You’re not the same’, regardless who plays it. key thing is figuring out what acoustic guitar was used. Obviously paul being a lefty its quite glaring in that he would only have been able to use his Epi Texan whereas john used the Gibson which was an electro acoustic and miked from the amp (doesn’t sound like a real acoustic). Similarly when George played bass on a few tracks its clear because he had to play the right handed Fender VI bass. Id say its john, its a relatively easy part which I don’t see why hed have any trouble getting in less than an hour. Some ghostly feedback can be heard after Paul says “You were above me”. For those having trouble hearing Ringo’s organ it is the loudest part of the song after each chorus “Youre not the same”. For those who can’t hear the organ, it was put overtop of the lead guitar, and was overdriven like hell. If you have your doubts it’s an organ, listen to the the right channel during the fadeout, you can hear the organ fade at a different volume, and it even moves to the center a little bit. Some fun tidbits about this song: this take sounds notably rushed; at around 0:58 you can hear tapping to the right that doesn’t keep to the beat well. At 1:18, after “You were above me,” the left guitar has feedback issues and rings for a brief moment. At 0:18, Ringo’s drums skip a beat. From 1:05 to 1:20 you can hear little plinking on the right guitar, as if whoever’s playing is tuning or has forgotten how to play, which happens again at around 1:49. Several other anomalies happen throughout the final version of this song, and some people speculate that the final version was really only Paul playing. It’s thought he might’ve just overdubbed everything himself, considering all vocals consist of him, and that this version has a very “Paul” sound. It’s possible, but whatever. “Love has a nasty habit of disappearing overnight” is a catchy line, but it’s absolute nonsense. Of course love does NOT disappear overnight.